The Constitutional Court on Tuesday ruled in favour of the Transport Department, dismissing an appeal by Tasima over a ruling to have the National Traffic Information System (eNaTIS) and other, related services handed over to the Road Traffic Management Corporation (RTMC). Tasima's application was dismissed with costs. 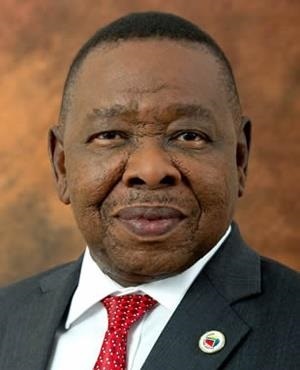 Earlier on Wednesday, Transport Minister Blade Nzimande issued a statement welcoming the court's decision. "This decision vindicates the department from paying the R33m claimed by Tasima for services related to eNaTIS that the company claimed to have provided to the department after June 23, 2015," Nzimande said. According to the transport department, it was mind boggling that Tasima wanted government to pay for services rendered after a date that the Pretoria high court determined the contract to be invalid. This ruling was made on November 9, 2016, and the transport department and RTMC were given leave to terminate the "illegal and irregular extension" of the Tasima contract, the statement said. The transport department and RTMC only took over the eNaTIS services in April 2017, as Tasima had held onto the system. Eventually, the North Gauteng High Court ordered that Tasima vacate the eNaTIS system premises. "The decision by the Constitutional Court yesterday, 17 July 2018, brings to an end this unwarranted legal battle by individuals who were hell-bent to capture and siphon money from the State," said Nzimande. "Government has taken decisive action to end state capture and corruption in key state-owned enterprises and institutions, and will continue to do so until the credibility and integrity of all parts of the state have been restored," he concluded. The five-year contract to develop and operate eNaTIS was initially awarded to Tasima in 2001. Tasima managed eNaTIS for the transport department for 16 years, but the Constitutional Court ruled that it should hand over to the RTMC in November 2016, after several years of back-and-forth litigation over contracts, payment obligations and other issues. Tasima was not immediately available for comment by phone or email on Tuesday evening.